«FAST POKER», our second arrival bird and 155-prize winner in the Ostseerennen OLR 2017 is now for sale. 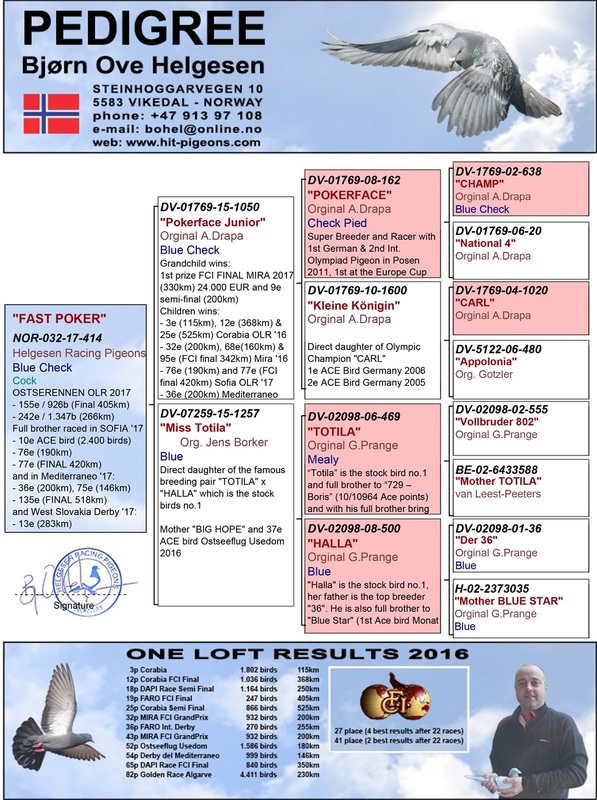 MOTHER of «FAST POKER» is a direct daughter of the super breeding pair “TOTILA” x “HALLA” from Jens Borker. Half-brother of "FAST POKER" is father to 1st prize MIRA FCI FINAL 2017 and 24.000 EUR ! !